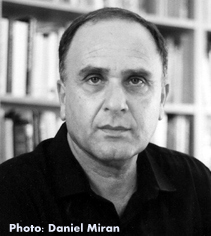 Reuven Miran was born in Kfar Saba, Israel, in 1944 and now lives in Binyamina. He received his MA in philosophy from the Sorbonne and has written novels, stories and film scripts. He is also a translator of French literature. Miran has received the Tel Aviv Foundation Award (1985), the Prime Minister’s Prize (1986), the BBC World Service Prize, the ACUM Prize for Literary Achievement (1995), the French Ministry of Culture Award for promoting French culture in Israel (2003) and the Ostana Prize (Italy, 2011). 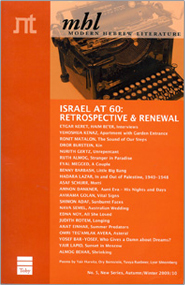 In 2003, Miran founded Nahar Books (Nahar Sfarim), a new Israeli publishing house devoted to classic humanistic texts on freedom and human dignity.